Chi, The Universal Energy: Are Chi/Qi Therapies the Key to Health? Qigong has long been a popular health exercise and treatment in the West, and now there is qi-ssage, which is a massage based on qigong principles ("Qi-ssage combines Qigong principles with massage techniques," by Frank Lee, http://www.sctimes.com/article/20101214/LIFE01/112140004/Qi-ssage-combines-Qigong-principles-with-massage-techniques). "Qigong combines meditation, breathing techniques, movement and visualization to promote healing and a sense of well-being" (Lee). Qigong and qi-ssage are both based on the concept of qi or chi (also spelled ki and sometimes transliterated as ch'i), which is a foundational belief of Taoism, a religion that developed from early Chinese Shamanism, 3000 to 800 BCE (see Eva Wong, Taoism, Chapter 1, "Shamanic Origins," Boston & London: Shambhala, 1997). The early Shamans in China believed there was a force in the universe, in nature, and within them. By cultivating the force within (qi or ch'i) through various exercises, movements, special diets and herbs, breathing exercises, and meditation (altered states), they believed they could enhance their life force and be healthier and live longer. Some even taught that you could attain immortality. The exercises were also used for divination. This is the origin of Qigong (also spelled Chi Kung). "Chinese shamans used these exercises and meditations to commune with nature and natural forces and to increase their powers of healing and divination" (Kenneth S. Cohen, "What is Qigong?" http://www.cloudhandstaichi.org/couldhads what_is_qigong.htm). Qigong was absorbed into Taoism: "Qigong was the ideal way for Taoists to realize their goal of wuji, an empty, alert, boundless state of consciousness, and xing ming shuang xiu, 'spirit and body cultivated in balance'" (Cohen). There was no centralized authority or doctrine, so the teachings of Qigong and Taoism spread over the centuries via many teachers and an abundance of textual writings, spawning numerous sects. The concept of Chinese qi/chi was attributed to and developed by philosophers such as Lao-tzu, Confucius, Mencius, and others between the sixth and fourth centuries B.C., and qi was considered to be "the source of vitality, harmony, creativity, and moral courage," (Rosemary Ellen Guiley, Harper's Encyclopedia of Mystical & Paranormal Experience, Edison, NJ: Castle Books, 1991, 627). In Chinese cosmology, the relationship between heaven, earth, and man was paramount. This is reflected in the various categories of qi: Heaven Qi, Earth Qi, and Human Qi, which are each further subdivided. Heaven Qi contains planetary and Weather Qi, which are each also subdivided further. For example, Planetary Qi includes astrology and spiritual guidance. Earth Qi contains Natural and Human Made Qi which are both subdivided. Natural Qi includes vegetation, mountains, etc. Human Qi includes Social and Personal Qi which are each subdivided: Social Qi includes things such as neighbors and local events, while Personal Qi includes ideals and beliefs, sensitivity, health and life force (Belinda Henwood, with Howard Choy, Feng Shui, Pownal, VT: Storey Books, undated, 6). Another factor to take into account is that there is positive energy, sheng qi, which moves along curved lines, and negative energy, sha qi, which "strikes quickly in straight lines," (Henwood, 6; Guiley, 201). No matter where you look, Qigong consistently has a spiritual element due to its use of qi: "Some of the ways Qigong can be used is; to move the qi internally to remove stagnation, to connect with and draw upon universal qi, to balance the qi both internally and externally, to release negative or harmful qi and cultivate positive qi" and "the basic common philosophy is that qi is inherent in everything in the universe, including humans (we are not as special as we like to think). When this qi or energy stagnates or becomes out of balance we become sick. When it is in balance and flows freely we live healthy and happy lives," (http://www.greenmountaintaichi.com/Qigong.cfm). Chi/qi has parallels to prana (the divine breath of the cosmos in Hindu thinking) in India. Prana is an energy "upon which all things depend for health and life," (Guiley, 626). Known generally as the "universal life force," this energy is also known as "bioenergy," (Ibid, 629-30), "vital energy," "vital force," or, most commonly in the United States, the "life force." Manipulating, channeling, and balancing the universal life force is the basis of many alternative healing methods, such as acupuncture and Reiki, and is sometimes termed "energy healing." Chi or qi is also the basis for acupuncture, Tai Chi, and Feng Shui. One of the purposes of Tai Chi is to facilitate "the flow of qi through the body," (Guiley, p. 599). "Just as acupuncture, chakra balancing or shiatsu massage can adjust the flow of energy in the body, so can Feng Shui adjust the flow of energy around us," (Henwood, 6). The chi must flow "not too quickly and not too slowly," and will stagnate or become destructive if it is blocked (Ibid). 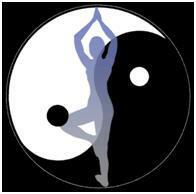 Additionally, the yin and yang (female and male) components of chi "must be in balance," (Guiley, 200, 627). One traveler who chronicled his occult encounters in 19th century Asia wrote that he learned from a Hindu holy man that the vital fluid, the agasa or akasha, was the cause of all phenomena and was the "moving thought of the universal soul, directing all souls," as well as the "force of which the adepts had learned to control," (Louis Jacolliot, quoted by Guiley, 327). [The adepts are practitioners of occult powers]. The Bible tells us that God breathed life into man (Genesis 2:7; Job 27:3), that all living creatures have the "breath of life" (Genesis 1:30, 2:7, 6:17, 7:22; Psalm 104:29), and that God's breath caused the universe (Job 33:4, 37:10; Psalm 33:6), but this breath is not a force or energy. The "breath" of God is an expression describing God's power to create and sustain life; in fact, the Hebrew words used here are also translated as "life" or "spirit." Man and animals breathe (are alive) because God has given them life. God's power to create is not man's power nor does it belong to the universe, and God's power is not a force to manipulate or channel, for healing or anything else. Man does not have the right to access God when he desires and to appropriate a power that he believes is God or is from God, or to appropriate a power that is from the "universe." When efforts are made to do this, a power may be channeled, but it is not from God. In fact, the attempt to channel or manipulate such a force is the underpinning of sorcery. Such a power is a counterfeit power or force from a personal intelligence that is evil and wants to deceive and destroy. Jesus described this personal source of evil in one place as a "thief" - "The thief comes only to steal and kill and destroy; I came that they may have life, and have it abundantly" (John 10:10). Jesus did not heal by channeling a universal energy or qi, but was acting with the power of God. As Acts 10:38 says, "God anointed Jesus of Nazareth with the Holy Spirit and with power. He went about doing good, and healing all that were oppressed by the devil, for God was with Him." The power of God was not coming through a technique or secret teaching, but from the person of Jesus Christ as an aspect of his deity. When Jesus conferred this power specifically to His disciples, He "gave them authority over unclean spirits, to cast them out, and to heal every kind of disease and every kind of sickness," (Matthew 10:1, Mark 3:13-15, Luke 9:1). It is Christ's authority over illness that Christ gave the disciples, not a secret teaching or technique. This authority over disease was only one aspect of his power and authority as the Son of God. He also demonstrated authority in His teaching (Matthew 7:29), authority over demons (Matthew 8:28-24, also in Mark 5:1-17, Luke 8:22-25, and many other passages), authority to forgive (Matthew 9:5, also in Mark 2:10, Luke 5:24), authority over nature (Matthew 8:23-27; also Mark 4:36-41, Luke 8:22-25), and authority over death (Matthew 9:23-26; John 11:43-45). After His resurrection, Jesus was given all authority: "All authority has been given to Me in heaven and on earth." (Matthew 28:18). Jesus also said, "I have spoken openly to the world; I always taught in synagogues and in the temple, where all the Jews come together; and I spoke nothing in secret" (John 18:20). Jesus' ability to heal was not only a sign of his fulfillment of prophecies of the Messiah, but magnified the glory of God. After the blind man by the side of the road was healed in Luke 18:35-43, he followed Jesus, "glorifying God; and when all the people saw it, they gave praise to God," (verse 43). This same praising of God happened after Jesus healed the paralytic (Matthew 9:2-8, Mark 2:10-12, Luke 5:22-26), and when He healed the "lame, crippled, blind, dumb, and many others...so that the multitude marveled as they saw the dumb speaking, the crippled restored, and the lame walking, and the blind seeing; and they glorified the God of Israel" (Matthew 15:30, 31). Guiley, Rosemary Ellen. Harper's Encyclopedia of Mystical and Paranormal Experience. Edison, NJ: CASTLE BOOKS/Books Sales, Inc., 1991. Examining Alternative Medicine: An Inside Look at the Benefits & Risks, by Paul C. Reisser, Dale Mabe, and Paul Velarde. See especially chapters 5 and 6 on energy and chi/qi.